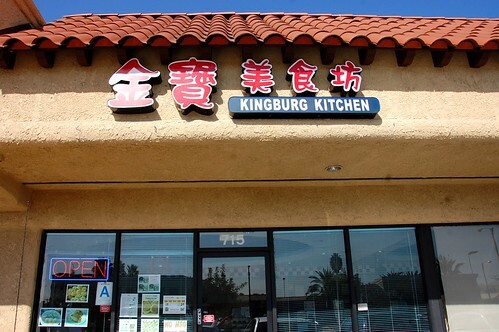 I like Kingburg Kitchen (715 W. Las Tunas Dr., San Gabriel) because it serves non-pork dumplings -- including chicken, beef, fish, and vegetables -- so I don't need to exclude my Muslim and vegetarian friends from my dumpling devouring. 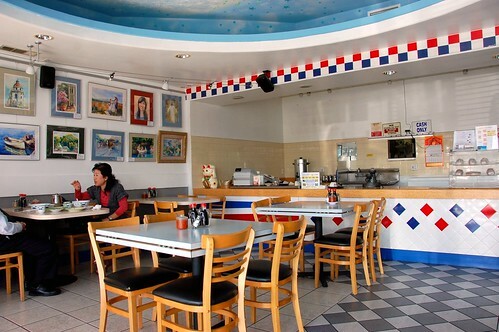 Kingburg Kitchen is often a back-up destination when Luscious Dumplings or Michelle's Pancake is closed. But there is one very good reason for you to come, even if the other two places are open. Everything is tasty, but one item is the real draw for me. 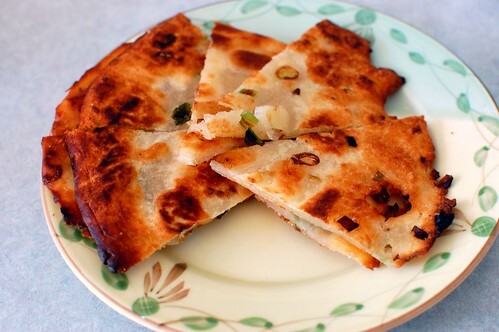 Green onion fried pancake -- cong you bing ($2.95). 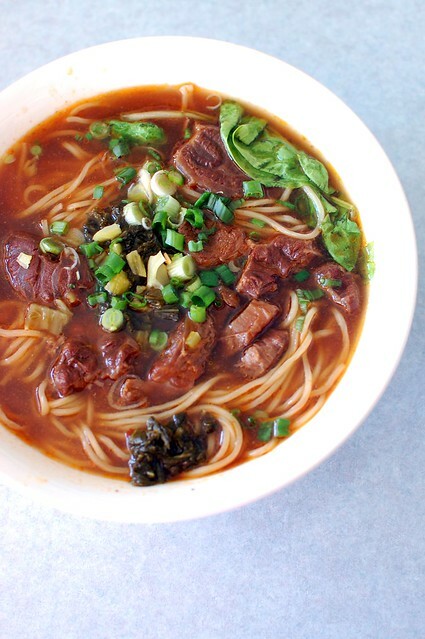 Spicy beef noodle soup -- niu rou mian ($7.00). Chicken, leek, and Chinese cabbage fried dumplings -- guo tie ($7.50). Pork and leek boiled dumplings -- shui jiao ($6.00). 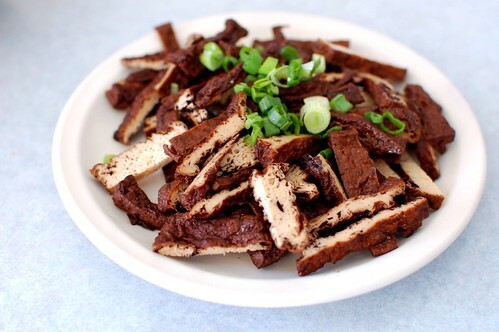 Complimentary spiced bean curd (because we waited awhile for our next dish). Cabbage and pork fried buns -- sheng jian bao ($6.50). The sheng jian bao here are excellent. Golden-brown on the top and bottom, perfectly crunchy, piping hot, juicy, slightly fluffy, and not overly doughy like some other versions. 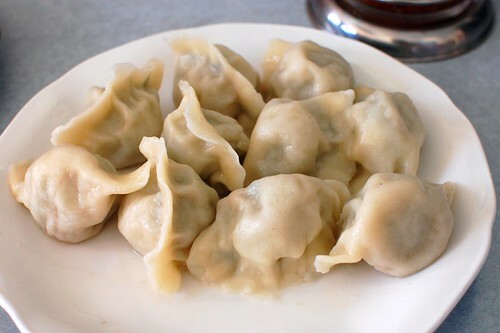 It's funny, I never thought about the fact that most dumplings are made with pork. I do miss all the yummy (and cheap) Asian food in the SGV, but mostly I miss the company. 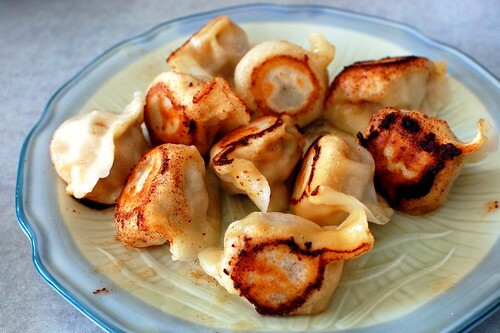 i lurve any and all dumplings, pork-filled or not. 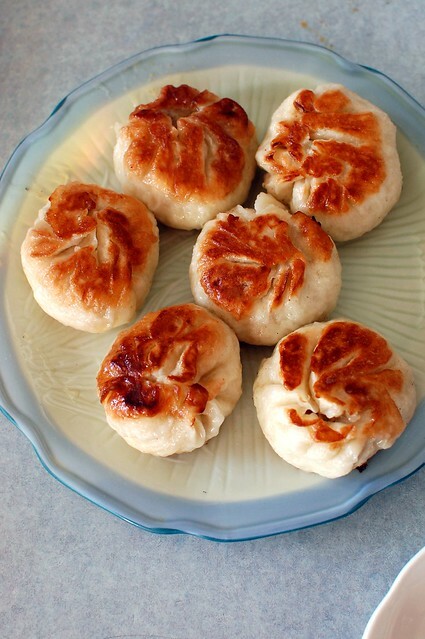 Mmmm those sheng jian bao look excellent! wait - not the point of this post, huh?